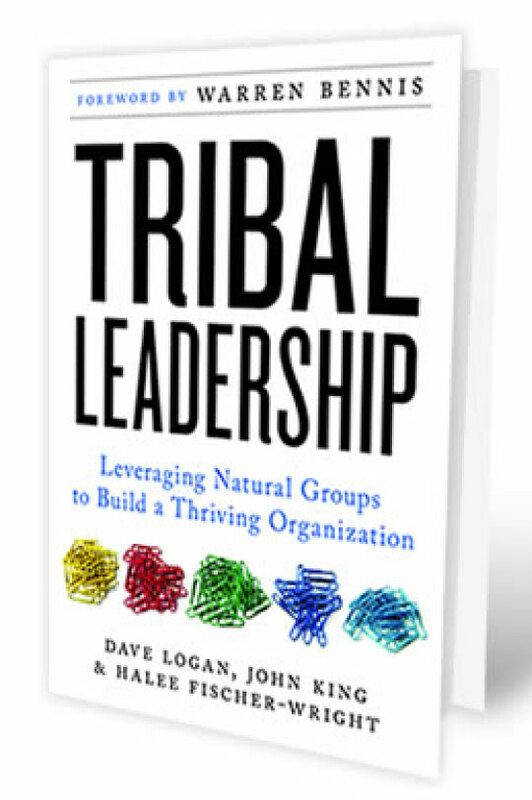 Dr. Dave Logan is the bestselling author of Tribal Leadership (#1 New York Times) , The Three Laws of Performance, and The Best Medicine. He is a consultant to dozens of Fortune 500 companies and is endorsed by some of the most successful Leaders in the world. Dave is called an expert in organizational management, a guru in leadership, and a cultural transformationalist. He has been interviewed on CNN, Fox, National Public Radio and most major networks. His CBS MoneyWatch blog has been read by over two million people, and his TEDx Talk (selected as an official TED Talk) has been seen by over a million people. Dave has been on the USC faculty since 1996, and served as associate dean for four years. He teaches in the Executive MBA, Executive Master of Leadership, and Master of Medical Management programs. He is also on the faculty of the American Association for Physician Leaders (formerly ACPE), the Getty Leadership Institute at Claremont Graduate School, the Global Institute of Leadership Development (Linkage) and over a dozen corporate universities around the world. He has guest lectured at many major business schools around the world. Dave’s business is business culture. He brings culture into sync with markets, strategy, and all parts of a business, resulting in high performance, energized customers, vibrant employees, and centers of innovation. The research for his company was published in 2008 as Tribal Leadership (Collins). Dave studies how people communicate within a company — and how to harness our natural gifts to make change within organizations. He looks at emerging patterns of corporate leadership, organizational transformation, generational differences in the workplace, and team building for high-potential managers and executives. Dave has a Ph.D. in Organizational Communication from the Annenberg School at USC. Dave works with Fortune 500 companies, including Qualcomm, Intel, Charles Schwab American Express, and Prudential. His testimonials of endorsement read like a who’s who of CEOs and Leaders; from Tony Hsieh to Reid Hoffman to Desmond Tutu. Dave and his book even influenced Phil Jackson in a major way helping Phil lead his 2009 Los Angeles Laker team to the NBA Championship. From 2001-2004, he served as Associate Dean of Executive Education at USC. During that time, he started new programs for major defense contractors and governments around the world. Dave writes a blog which goes viral with regularity for CBSNews.com Money Watch and writes for several other business related publications. He has given interviews to many major cable news networks, newspapers, and magazines and has spoken at hundreds of events around the world as the keynote speaker, giving workshops and facilitating training sessions. His most well known speech was given at the first ever TEDx event in the world, an experiment by the founders of TED at the time. The video of that speech has been seen by almost one million people on the web. The topic was Tribal Leadership. Dave’s latest book is The Best Medicine, A Physician’s Guide to Effective Leadership, which provides a theoretical framework for visionary leadership as well as specific management techniques to achieve success. The authors focus on maintaining a consistent set of behavioral characteristics for both the leader and the organization as a whole. The text is written in a conversational style using the authors’ personal experiences and case studies to illustrate the principles and practices of successful leaders. When helpful, the large body of observational work on professional group dynamics is referenced. The text also provides ideal supplemental material for the many leadership programs offered by physician organizations and health care systems. Developed by Dave and his co-author Dr. Bruce Gewertz, an accomplished physician leader from one of the nation’s finest hospital systems, The Best Medicine: A Physician’s Guide to Effective Leadership is of great value to physicians of all levels who are interested in improving their understanding of leadership styles and tactics. People become managers by going through a process of identifying their strengths, planning a course of study, and executing it with discipline. When it comes time for people to become leaders – and amplify their impact – most people try to use the same process, and it fails. Leadership development does follow a flow, but it’s opposite of what people think. In this session, Dave will share simple guides from his upcoming book Be This, Not That: Turning Managers Into Leaders, curated from the best leaders of the past 100 years that helped each make lasting changes in impact and the world. Largely based on 30 years of consulting research and his long-time friendship with transformational leadership guru Warren Bennis, this book provides guides of leadership that have the power to transform careers, businesses and lives. Every organization and company is a tribe, or a network of tribes—groups of 20 to 150 people that form naturally, in which everyone knows everyone else, or at least knows of them. 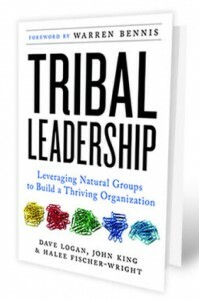 In this highly interactive session, Dave Logan show participants how to upgrade their organization one tribe at a time. The result is unprecedented impact, innovation, and success at hitting key performance goals. At the heart of this session is the principals’ ten-year study on 24,000 people (published in 2008 by HarperCollins as Tribal Leadership by Logan, King, and Fischer-Wright) that mapped, for the first time, five stages of corporate culture and the unique leverage points to nudge a group forward. Assess their culture’s effectiveness level. Improve the effectiveness of their culture. Take the first critical steps in building a higher-level culture. Identify shared values in their organization. Build upon values to overcome lack of consensus. Most leaders agree that culture is the critical factor in performance, but can’t define it, measure it, or change it. As a result, the few organizations that get culture right seem magical, and people who try to replicate their success usually end up frustrated and cynical. Dave shows two simple steps-diagnosis and then the best treatment that leaders take to build cultures that can do things most people think is impossible: out-innovating, outperforming, creating an immunity to scandals, and having mountains of fun in the process. Dave’s recent class about Tribal Leadership at Qualcomm drew an enthusiastic crowd of managers, directors and vice presidents. I have received so many positive comments from people who felt Dave really connected with them. They liked his presentation style and said they learned useful management tools. Some managers have even formed a discussion group called “Tribal Leadership” to share ideas and principles introduced by Dave and to bolster their management skills. It’s definitely one of the most engaging presentations my team has experienced. When I first heard Dave, John, and Halee describe the Five Cultural Stages they had identified, the world became much clearer to me. Here was a description of individual and group behavior that reflected with much greater clarity the world we live in! And here was a model that everyone who heard the explanation identified with – instantly. The Cultural Stages map [the basis of Tribal Leadership] has been an invaluable tool working with high performing professionals and clients. It enables us to set the bar at new heights and quickly and positively influence behavior to seek and reach the new bar. The effect Dave Logan created with his keynote at RELIABILITY 2.0 was profound. This technically-oriented audience greeted Tribal Leadership with some initial skepticism; however, within a few minutes, they were taking notes, nodding their heads and laughing out loud as they delighted in recognition of their co-workers, their leaders and themselves. Later in the day I happened to look over the shoulders of a group of engineers who were drawing a grid of the Stage 2, Stage 3 and Stage 4 Tribes they could identify in their workplace. I knew right then and there we had selected the right guy to transform our attendees. Thank you Dave. Your presentation was inspiring, motivating and thought provoking. You brought to life many of the principles from your Tribal Leadership book and almost two months later, there is still a “buzz” and sense of excitement in the air here at Rady Children’s Hospital of San Diego as a direct result of your visit and book. Your discussions with our Board of Directors and small group sessions prior to your presentation ignited our leadership teams for Children’s Specialists, Rady Children’s Hospital as well as UCSD. You amazed us with how clearly you understand and can explain complex issues, and the timing of your visit couldn’t have been better with the transformational discussions our three organizations are having about becoming world class and providing world class health care for all children. We used your model outlining the “Five Components of Tribal Strategy” to guide us at our recent Summit meeting where we were able to identify our noble cause and articulate our values and the outcomes we want to achieve. Dave is one of the most energising academics I have met. His work on Tribal Leadership is accessible and inspirational and can directly be picked up by management at all levels across complex and large global organisations such at TNT. Dave Logan is an inspirational and engaging speaker. His five culture stages have been a thought provoking breakthrough for our organization as we strive to be a global, seamless and integrated, service provider. His highly interactive talks and teachings on Tribal Leadership have helped to ‘redefine what is possible’ for our people and organization as a whole. The Holacracy at Zappos; Go to work but ditch the boss?